"Never tease anything that wants to eat you. "My name is April Tate and my blood is the new gold. Vampires and hybrids have overrun my world, once vibrant with life, but now a graveyard of death shrouded in shadows. I fight to survive; I fight for my mother and brother. The journey is full of turns that I am quite unprepared for. 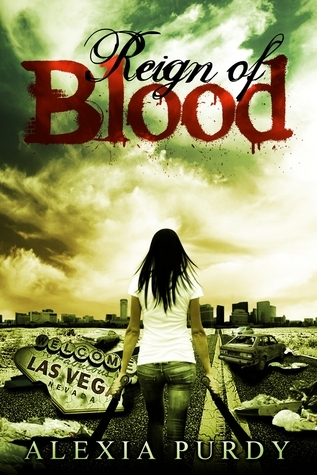 And I'm just hoping to make it to the next Vegas sunrise..."
I had been looking at Reign Of Blood for quite some time on Amazon trying to decide whether or not I wanted to read it. When I was contacted by the Author asking if I'd like to review her book my decision was made for me. What can I say except, Reign Of Blood sucked me in (no pun intended) from the very first page and didn't let me go until the very end. This book wasn't just good, it was great with a capital G!! First off, I loved the fact that these Vampires followed the rules of old. What I mean by that is they can be killed traditional ways such as sunlight,stake through the heart, decapitation, and fire. In my head I imagined the feral vampires closely resembled those of the Uber vamps from Season 7 of Buffy whereas the hybrids were a cross between those from say Twilight and True Blood. As for the characters I loved April. While her name might be ordinary her character proved to be anything but. Due to the vampire pandemic April has grown quickly but underneath that tough, battle hardened exterior lies a scared teenage girl just hoping to live to see another day. I also loved Miranda the vampire hybrid who rescues April from the ruins of a demolished casino. She was smart, sassy, but had a playfulness about her that brought a bit of lightheartedness to the overall narrative. Unfortunately Miranda is quickly pushed aside in favor of the male leads instead. Hopefully in the next book we get to see more of her. While I really enjoyed this book it did have one small snafu. In the middle of the book it becomes clear April is attracted to the male vampire Rye. I saw it coming a mile away and was fine with it until......Rye goes on to explain that Vampires find mates for life and become bonded to each other. I literally stopped reading to roll my eyes. The whole scene felt out of place and just reminded me way to much of imprinting in the Twilight films. Thankfully this awkwardness in the center of the book last only a few short pages and gets back on track fairly quickly. In the end I am so happy that I read Reign Of Blood. 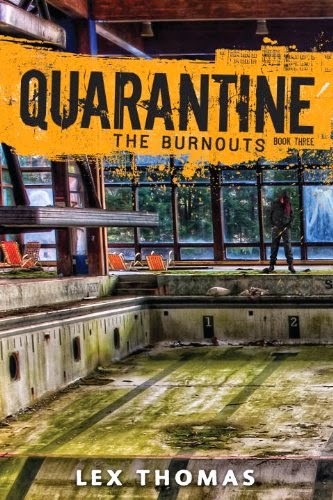 The pacing of the book was near perfect, the characters interesting, and I was satisfied with the overall world building. Would I recommend this book? A resounding yes!! If you're a vampire fan whose looking for a new series to sink your teeth into then definitely pick up Reign Of Blood by Alexia Purdy and give it a shot. That being said, I will be rating Reign Of Blood ★★★★. Worth a read, worth your time, and definitely worth the price. *I received this book to review from the Author. All opinions are my own and I was not compensated in any way for providing them. Have you heard of this book before? If not, Do you plan on reading it now that you have? What types of Vampires are your favorite? Let me know in the comments below, I love reading your responses! I'm going to post the book trailer below in case you're curious. The eyes of the Hybrid vampires really reminded me of Edwards well any of the Cullen family really. I have this one on my Kindle, impatiently waiting to be read. Hoping to get to it soon. Love that there are some classic vampire elements in it. I hope you enjoy it! Can't wait to see your review.